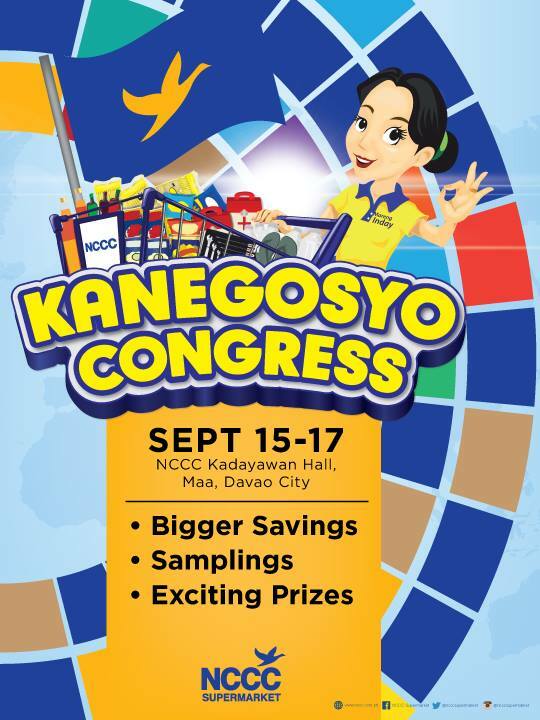 In line with its thrust as Ka-Partner sa Pag-unlad to its shoppers, NCCC Supermarket will hold the annual sought-after event with its Kanegosyo Premium members, the Kanegosyo Congress 2016. It will be a 3-day shopping extravaganza on September 15-17 at Kadayawan Hall, NCCC Mall Davao. The highly anticipated event will feature more than 75 booth exhibits especially prepared for NCCC's premium members who are expected to join the three-day gathering. 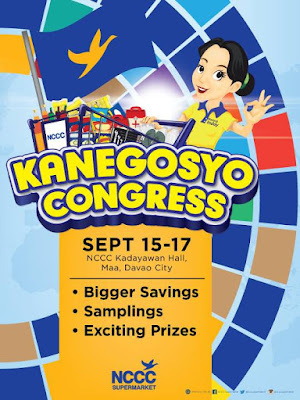 Mindanao’s leading retail chain, New City Commercial Corporation (NCCC) and Rewards has always valued the business of its Kanegosyo Partners hence, the birth of the Loyalty Club and the yearly selling convention was established and offered members discounts, instant prizes and fun games exclusively for them. This 2016 NCCC Supermarket takes to the next level the Kanegosyo Congress with its theme of United Nations. This explores the theme of unity for all its vendors as well as NCCC business units in catering to the needs of the shoppers. The Kanegosyo Congress also aims to equip small to medium entrepreneurs with opportunities to provide them with the solutions that will help make their business more profitable and sustainable. During the event, NCCC Supermarket will choose lucky exhibitors to win in various awards including the Best Booth, Patok na Patok Award, Most Bibo Merchandising, among others. Kanegosyo Congress is open to more than 200,000 NCCC Rewards Club members and their card will serve as their gate pass for the even. They will also enjoy endless discounts, perks and other privileges.